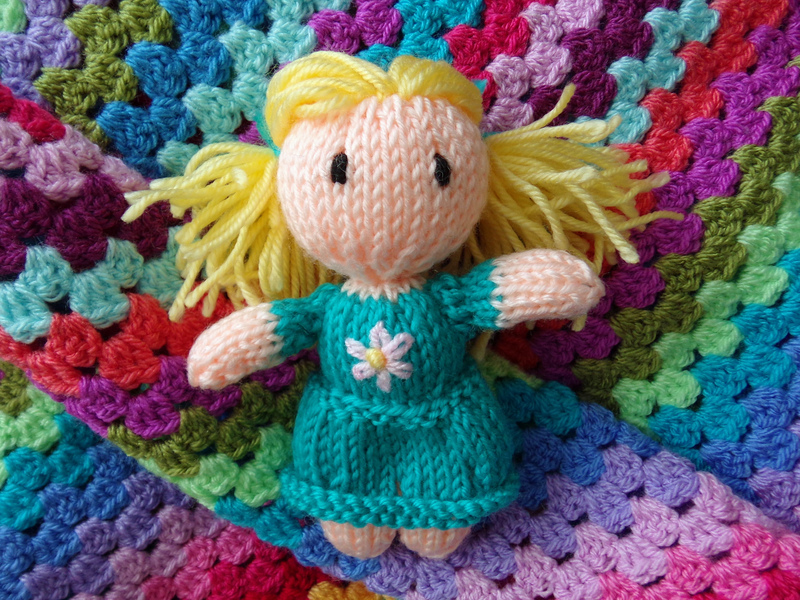 Before I get stuck in to the post at hand and all its yarny goodness, it’s time I stopped dodging using my daughter’s name on my blog. When she first arrived I was so worried about keeping her safe from strangers that on my first trip to the supermarket with her on my own I was too scared to give a straight answer when people asked her name or how old she was. I was so cagey that I tearfully broke down and confessed I was worried that one nice lady was a “baby snatcher” when she pushed for an answer because I didn’t seem to know the age of my own child! I love handmade blankets, and I’m proud of the fact that all of my baby girl’s blankets are handmade. Well, except for that one cotton cellular blanket I panic bought after being told it was absolutely the only kind of blanket that was safe for a newborn. I’ve taken so long to post this that another blogging milestone has snuck up on me! My two year anniversary as a blogger! When I started out I knew there would be times that I wasn’t posting as often as I’d like, but I honestly never considered that the reason would be that I’m too tired and pregnant! I am sleeping A LOT at the moment, and the combination of the hot weather and my blimp-like figure means I’m not getting out of the flat much. And as if preparing for the baby’s arrival wasn’t enough to keep me busy, we will be moving house in a few weeks too! After finishing two large WIPs in quite a short space of time, progress on my other numerous projects feels a little slow. There seemed to be only one way to go after such large and unwieldy blankets, and that was smaller, a lot smaller! 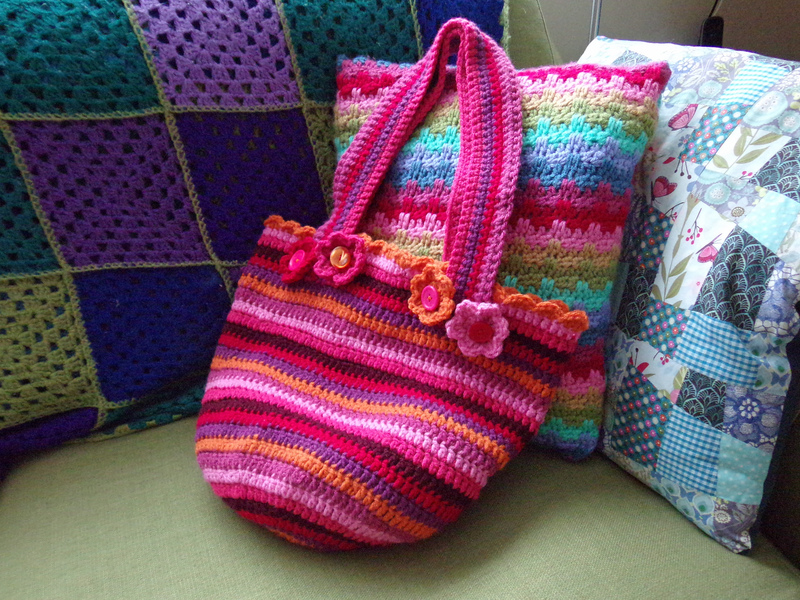 Fortunately the perfect pocket-sized project turned up in the form of the kit attached to May’s issue of Let’s Knit magazine, a little dolly called Daisy May. 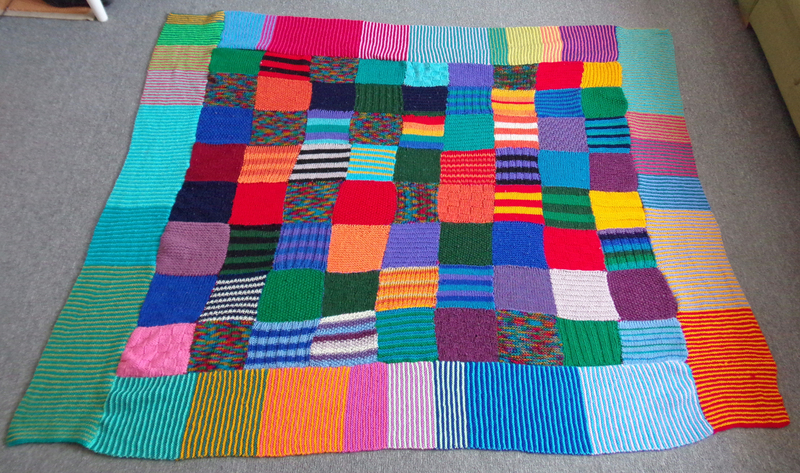 For a blanket that was about 18 years in the making, my Old Knitted Friend is really isn’t that impressive to look at! But the fact that I started this much loved blanket as a teenager, and that it’s been a part of every home I’ve had since then makes it very special to me, and I’m almost sad that I can finally say it’s finished. 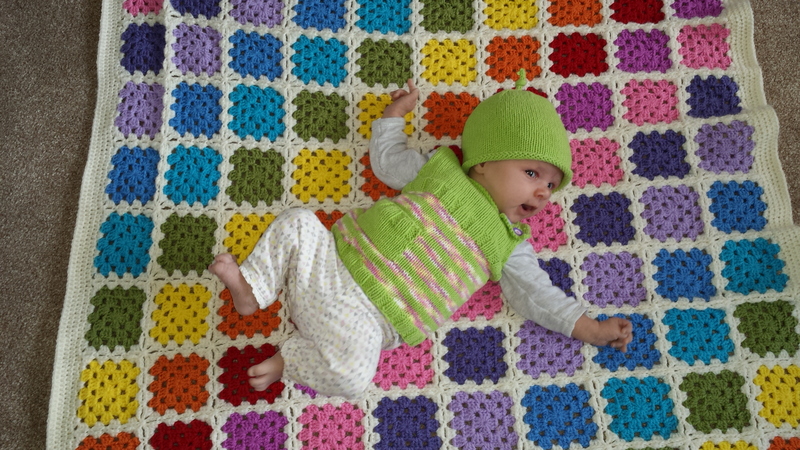 This is how it looks now with its new stripey garter stitch border. A hump day victory, plus revealing the Granny Stripe Beast! Something rather wonderful and unexpected happened last week. Out of the blue the number of hits to my blog just exploded! I occasionally get a bit of a boost if someone links to one of my patterns, or if a picture gets re-pinned on Pinterest, but this was just bonkers! Every time I hit refresh the numbers just climbed higher! Cracking those WIPs – Rainbow Raindrops cushion completed! I’m on a mission, a mission to finish as many of those lingering WIPs as possible over the next month. 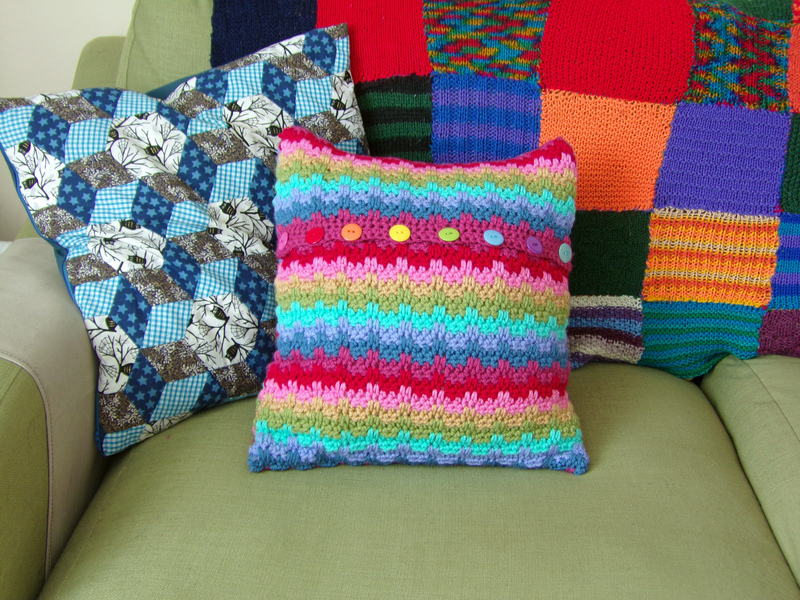 First up is my Attic24 Rainbow Raindrops Cushion (free cushion tutorial here and stitch pattern here). Now this is a pretty quick project to hook up, especially in chunky weight yarn,so I have no explanation as to why it’s taken me so long to finish it except… oh look pretty yarn! I wonder if that would be enough to make a shawl… I could just have a quick look on Ravelry… What do you mean it’s Thursday today? 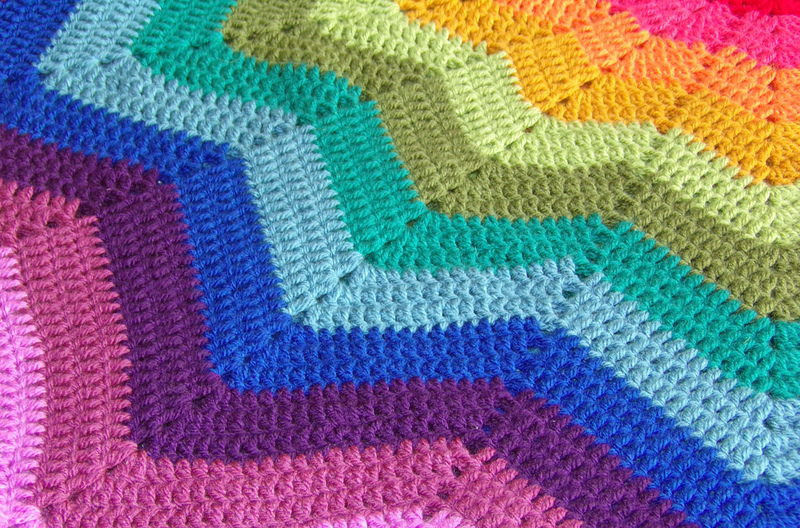 Crocheted rainbow ripple star blanket in all its technicolour beauty! You’d be forgiven for believing that I managed to knit and crochet myself into a coma this month, and whilst at times it was a close thing, it’s really been procrastination that’s kept me from blogging recently. That and food, oh god, so much food! Christmas dinner, Boxing Day lunch with the faaaaamily and then Turkey Soup Day after that (nephling no 1 is campaigning for for the latter to be made an official national holiday). Can you picture Jabba the Hutt with a lap full of crochet blanket and a cat sitting on each side like a pair of furry bookends? Because that is me right now. Between all the eating, I did manage to exchange gifts with my nearest and dearest, which means I can now start to share pictures of the things I’ve been making. Remember I teased you with this picture last month?